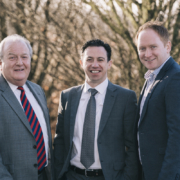 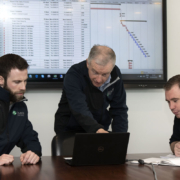 Leading communications and SCADA network supplier, EMR Integrated Solutions was today recognised with ‘Distinction’ at the 2013 annual National Irish Safety Organisation (NISO) awards. 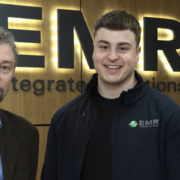 The award recognises the positive and proactive culture of safety management that exists within EMR’s business and is testament to the quality of the process and the high regard that the awards command. 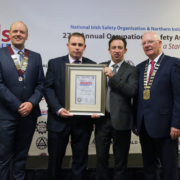 EMR’s safety representative, Brian Morgan also received a commendation certificate from NISO for his contribution to health and safety at EMR. 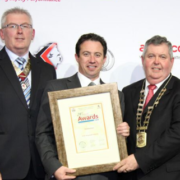 The annual National Irish Safety Organisation (NISO) Safety Awards are Ireland’s premier safety awards. 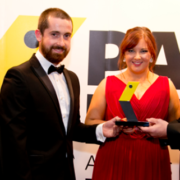 The awards are an All-Ireland affair as they are awarded in conjunction with Northern Ireland Safety Group (NISG).